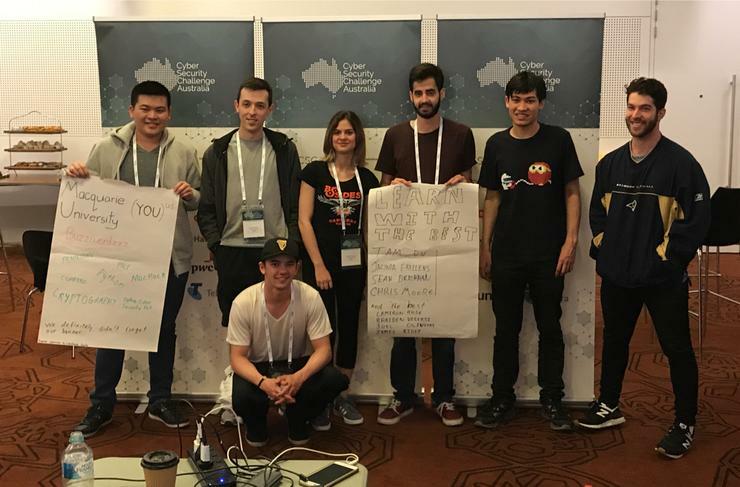 Industry recruiters are watching closely as this year’s Cyber Security Challenge Australia (CySCA) – bigger than ever thanks to a surge in TAFE enrolments, 40 percent growth in participants and record numbers of women – has driven furious competition comes into its final hours. Some 427 competitors, spread across 109 teams, have spent the better part of 24 hours working through a series of cybersecurity challenges arranged by CySCA sponsors including Telstra, Cisco, PwC, Microsoft, BAE Systems, the Commonwealth Bank of Australia, AustCyber, the Australian Cyber Security Centre (ACSC), and AISA – at whose annual conference a room has been dedicated to physically bring together eight teams for the first time. Two of those teams were comprised entirely of women – something that CySCA co-ordinator Amy Roberts, assistant director of ACSC Experience with the ACSC, sees as a visible reflection of the changing demographics of the next generation of cybersecurity workers. The number of female participants increased by 10 percent this year, she said, and 11 TAFE institutes were now involved – up from 2 last year. This was a tangible result of ongoing efforts to improve the participation of women in cybersecurity, with TAFEs proving invaluable for their ability to engage students in a more hands-on, practical way than theory-focused universities. “It has been a challenge deciding whether cybersecurity sits as a skill set in networking or as a discipline in its own right,” Joe D’Amico, manager of business & IT with participant Chisholm Institute, told CSO Australia. With a range of industry backgrounds represented – the team at the AISA site included engineers, Arts students, a metallurgist and students from a range of other disciplines – there are signs that cybersecurity is beginning to extend its appeal outside of traditional technical disciplines. The annual competition, which has been running since 2012, represents a major co-ordinated effort between government and industry leaders. And there are signs that the industry is listening – particularly as the ongoing cybersecurity skills crunch continues to leave businesses exposed. Companies wanted to know “how we provide internships, mentorship, and how do we get involved in making sure this curriculum is relevant to us,” he said. CySCA contestants vie for a range of attractive prizes, but the most enduring outcome for many has been offers of employment based on their performance during the event. Industry sponsors have come to see the event as a way of identifying and potentially getting early access to emerging cybersecurity specialists. Bringing in new perspectives was crucial to fostering innovative approaches to cybersecurity. “Tech people are often very protective around their knowledge, but in cybersecurity they are just so keen so share,” he said.